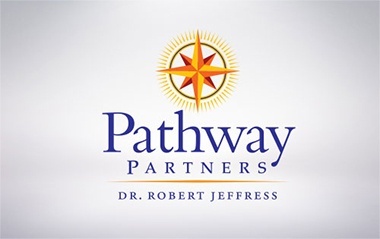 Dr. Jeffress hosts a daily radio program, Pathway to Victory, that is heard nationwide on over 1000 stations in major markets such as Dallas-Fort Worth, New York City, Chicago, Los Angeles, Houston, Washington, D.C., San Francisco, Philadelphia, and Seattle. Dr. Jeffress hosts a daily television program, Pathway to Victory, that can be seen Monday through Friday on the Trinity Broadcast Network (TBN) and every Sunday on TBN and also daily on the Hillsong Channel. His television broadcast reaches 195 countries and is on 11,295 cable and satellite systems throughout the world. Dr. Jeffress is the author of 25 books including When Forgiveness Doesn’t Make Sense, Countdown to the Apocalypse, Not All Roads Lead to Heaven, A Place Called Heaven: 10 Surprising Truths About Your Eternal Home, and his newest book, Choosing The Extraordinary Life released September, 2018. Know you’re making an impact together with Dr. Jeffress while also ensuring that you automatically receive the ministry resource each month.